One of the big advantages smart locks have over conventional and electronic deadbolts is that you don’t have to worry about carrying a physical key or remembering a keypad PIN to unlock a door. Instead, the key lives in electronic form in an app on your smartphone and talks to your lock wirelessly. Because these keys are digital, you can create, delete, and limit them to certain time periods with a few swipes on the screen of your smartphone. That makes them perfect for granting access to guests, repairmen, dog walkers, and babysitters arriving before you’re home from work, or neighbors who accepted a package for you. And once the key holder no longer needs access, you can revoke it just as easily as you granted it. You can also get a record of who comes and goes—and exactly when—by looking over your smart lock’s access log, a detailed digital diary that can be a handy forensics tool if something goes missing. Consumer Reports recently started an enhanced testing program to evaluate just how intelligent the latest smart locks are, and our new ratings show the results. Below you’ll find models from August, Kwikset, and Yale that came out of our recent round of lab tests. These are the three smart locks from our ratings that offer free electronic keys, though not all give you an unlimited number. Every lock that enters our labs gets kicked, picked, and drilled into oblivion. For the kick-in tests, CR’s test engineers built a custom jig that allows them to swing a 100-pound steel battering ram at a replaceable section of a door with the deadbolt installed. They repeat the test eight times, with the ram raised to ever-increasing heights or until the lock fails. The models that fail—and at least half do—then go through another test round, this time with a reinforced box strike plate installed on the new lock sample. CR’s experts have found that this basic DIY upgrade—adding a reinforced box strike plate—improves security for any lock. Models receive a score in each of the four break-in tests, allowing you to easily compare each lock’s relative merits in the face of a physical breach. The smart locks in our ratings get additional testing. 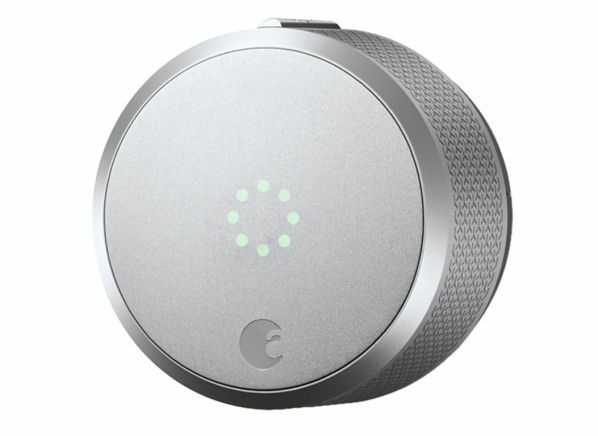 We investigate features like shareable electronic keys, smartphone alerts, remote locking and unlocking, geofencing (the ability to lock or unlock a door when your phone leaves and enters a digital perimeter you set), voice control (via Amazon Alexa, Apple’s Siri, and Google Assistant), logs of who comes and goes, and even tamper alarms. Our testers verify that these features work as advertised and factor them into CR’s unique Smart IQ score, so that you can judge what you’re paying for in a smart lock. We also run through wireless setup, including connecting them to a smartphone and linking them to virtual assistants for voice control, putting ourselves in your shoes. To see all the smart locks we tested and for shopping advice, check our smart lock ratings and buying guide. The original August Smart Lock was the Nest thermostat of the lock world. It gave a seldom-considered piece of hardware a fresh design with a smartphone app and smart features such as auto lock/unlock, which detects when you arrive and leave home and extends or retracts the deadbolt accordingly. The latest iteration of that lock is the August Smart Lock Pro. In addition to electronic keys, it features an access log as well as remote control, remote alerts, and voice control (compatible with Amazon Alexa, Apple’s Siri, and Google Assistant) if you pair it with the August Connect WiFi adapter, $79. August now bundles the Pro and Connect adapter for $280, shaving $30 off the adapter price. 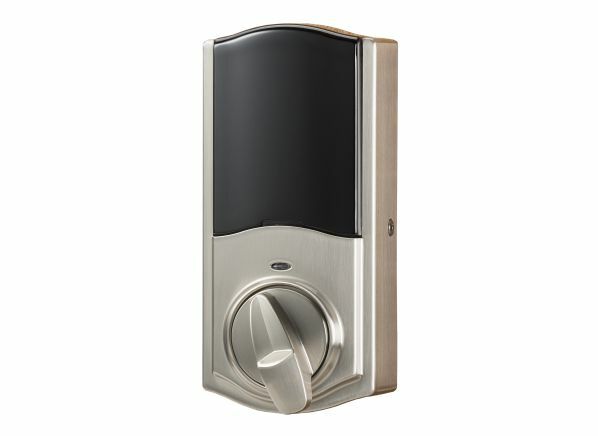 The August Smart Lock Pro is a retrofit product, meaning it replaces the interior thumb turn of your existing deadbolt. As a result, its performance against forced-entry tactics such as kick-ins and drilling is dependent on that deadbolt. Be sure to check August’s compatibility list to see whether it will work with your lock. Kwikset doesn’t have the slick styling of August, but the brand offers solid smart locks that are worthy competitors. 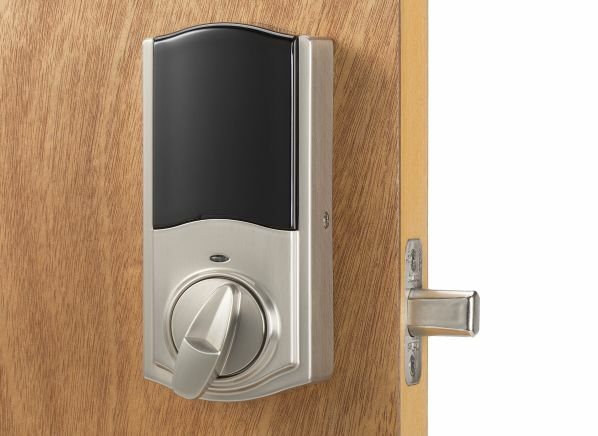 The Kwikset 925 Kevo Convert 15 replaces the interior side of a deadbolt, similar to the August, and connects to your phone via Bluetooth so you can lock and unlock when your phone is in range. The Kwikset Kevo app offers three types of electronic keys (called “eKeys”): an anytime eKey that works constantly (until revoked), a guest eKey that expires after 24 hours, and a scheduled eKey that works only during preset days and times. Like the August, the Kevo smart lock also features an access log generated from its electronic keys. And if you purchase the Kevo Plus Gateway, $100, you’ll also get remote control, remote alerts, and voice control via Amazon Alexa. The Kwikset 925 Kevo is a complete replacement deadbolt and features an unusual LED light ring around the keyhole that lights up in different color combinations when it locks, unlocks, has low batteries, detects a jam, reboots, and more. One of the Kevo’s hallmark features is its touch-to-open technology, which first appeared in the automotive world. When you touch the lock, it wakes up and searches for your phone via Bluetooth. When it detects your phone and makes a secure connection, it then unlocks the door—all in a matter of seconds. Like the Kevo Convert above, this model uses the same app and electronic keys and offers the same remote features when you add the Kevo Plus Gateway, $100.